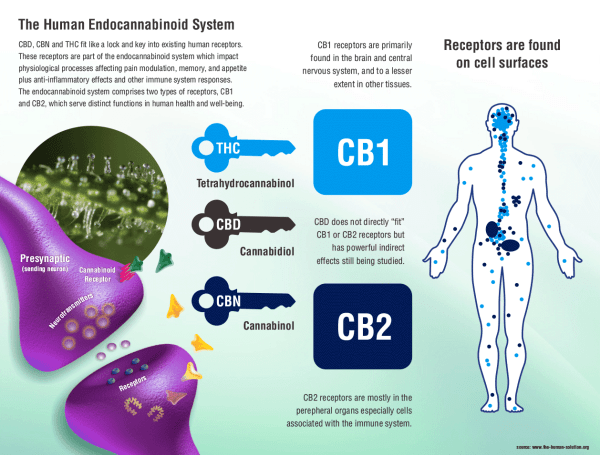 The ECS is comprised to two primary endocannabinoid receptors: CB1 (found predominantly in the brain, nervous system, and outlying organs and tissues) and CB2 (found predominantly in white blood cells, tonsils, and spleen). Although CBD has low affinity for either of these receptors, it does interact with other nominal receptors with remarkable effects. 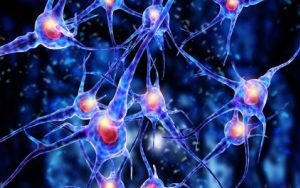 For example, CBD activates the receptor GPR55, which has been shown to assist in treating pain and inflammation. CBD has also been shown as a partial agonist to the 5-HT1A receptor, which may lead to cannabidiol’s antidepressant, anti-anxiety, and neuroprotective effects. For more information regarding the Endocannabinoid System and Cannabidiol, check-out PubMed.gov, ProjectCBD.org, and Wikipedia.org!